When flying into Mexico City, it’s easy to be overwhelmed by the sheer magnitude of this sprawling metropolis. Once you’ve landed, maneuvering your way through the chaos of Benito Juarez International Airport is the next challenge. After a record growth spurt of more than 200% in the past 7 years, Mexico City today has over 21 million inhabitants. Tourism is booming and the main airport is bursting at the seams. That is why the government is building a new mega airport 30km outside of the city, in a former lake basin in the small town of Texcoco. However, the extremely dry and saline soil in the basin lies bare, with the risk of soil blowing across the landing tarmac, obscuring the sight of pilots. Flash floods are also a concern during the rainy season. 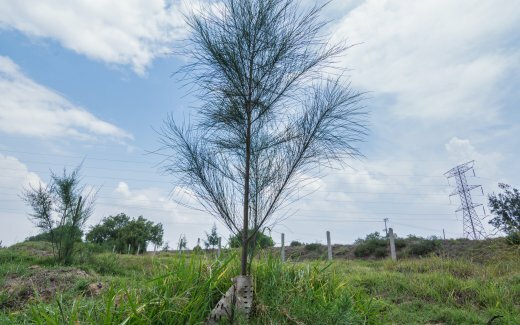 Trees are the perfect solution to both these problems, but so far all reforestation efforts at the site have failed. 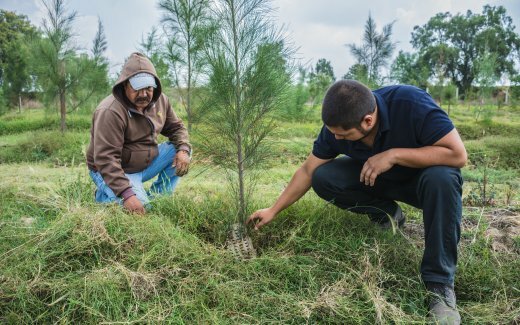 Over the last fifty years, millions of trees have been planted in Texcoco with survival rates under 5%. 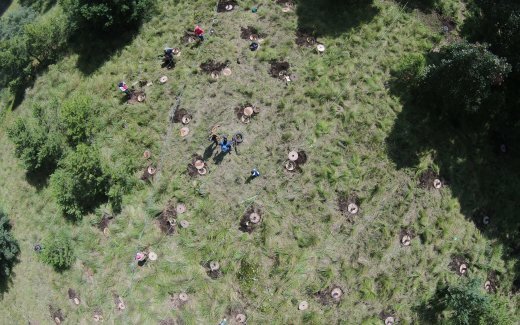 Land Life was offered the chance to collaborate with the national government, and our first Cocoons went into the ground in September 2015. So far the trees are growing very well; 85-90% survival without any irrigation. A promising result towards greening this future international transportation hub.